Shameless is sticking true to its name. Showtime has just released a new trailer and poster for their shambolic family dramedy and boy is it revealing … for William H. Macy at least. Even though the show is about three months away from its January 10 premiere, the network released a few teasers earlier this week. However, this is the first full trailer for the new season. Along with the usual fist fights, teen pregnancy, and relationship drama, it looks like this season will also be featuring a lot of skin from Frank Gallagher, the patriarch of the Shameless Gallagher family, played by Emmy-nominated William H. Macy. Also significant, the trailer features a scene between fan favorites Ian and Mickey whose relationship seemed to have ended at the close of season five. Along with the new trailer, Showtime has also released a retro ’70s poster design for the upcoming season. What do you think? Are you a fan of Shameless? Are you excited for season six? 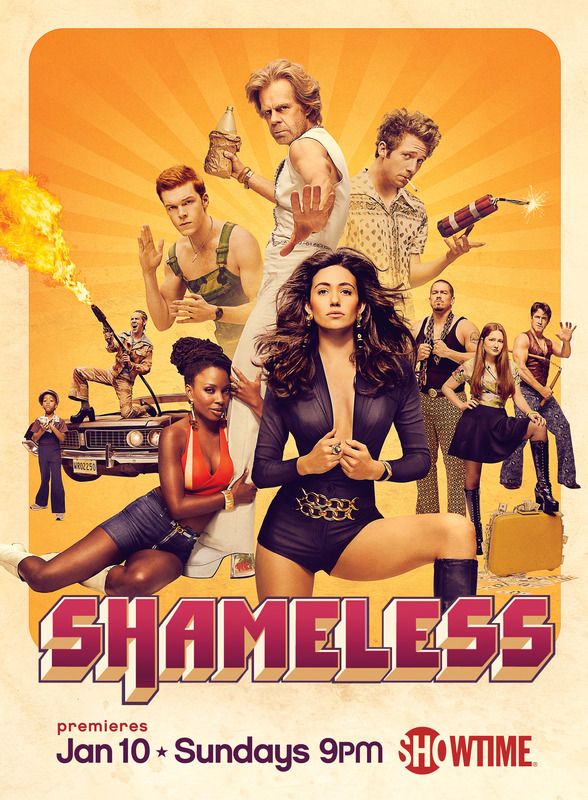 More about: Shameless, Shameless: canceled or renewed?, Showtime TV shows: canceled or renewed?